Many—maybe even most—readers of Wine Review Online have visited Napa Valley and Sonoma County, and may also have traveled further up the coast to Mendocino’s wine country. A few of you have probably also gone on to the Pacific Northwest. But have you ever stopped in to taste the terrific Cabernet Franc at Galer Estate in Pennsylvania, or Bluestone Vineyard’s award winning Petit Manseng in Virginia? 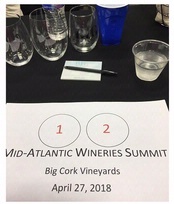 I was reminded of just how good wine made outside the west coast has gotten when I attended the second Mid-Atlantic Tasting Event a few weeks ago, an occasion that brought together a few media people and a selection of vintners from mid-Atlantic states. 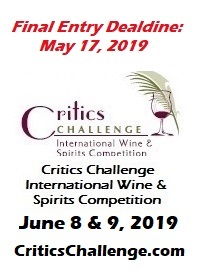 The event, which was held at Big Cork Vineyards in Rohrersville, Maryland, was organized by Paul Vigna, who writes about wine for Pennlive.com and who has become a leading voice for the wines and winemaking in the region. The purpose of the invitation-only symposium was for the winemakers to share their wines with each other and with a scattering of journalists, and to answer specific questions about local viticulture and winemaking. 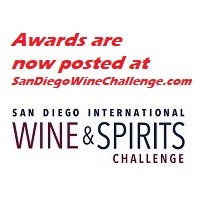 Most of the wines we tasted at the event have won numerous medals in competitions across the country. In addition to the overall high quality of the wines themselves, however, I was reminded that so many of the wineries in this part of the country are located in exceptionally enticing locales. Because European-American settlement in the mid-Atlantic region is as old as the nation itself, wine estates here are often tucked into a landscape that is not only beautiful, but also bears witness to the nation’s earliest days. So visiting wineries in such places offers visitors both the opportunity to taste some superior, and occasionally unique wines, and to visit some choice attractions. Every state in the mid-Atlantic region is choc-a-bloc full of wineries worthy of exploration, but I’m including here only estates that were at the Mid-Atlantic Tasting Event. BIG CORK VINEYARDS, which hosted the Mid-Atlantic tasting, is located in Maryland’s bucolic Washington County, near the Pennsylvania border. The estate has what winemaker David Collins describes as an “idyllic microclimate.” Big Cork’s astonishing number of grape varieties include Barbera, Cabernets Franc and Sauvignon, Chardonnay, Gewurztraminer. Merlot, Malbec, Muscat Canelli, Nebbiolo, Pinot Noir, Petit Verdot, Sauvignon Blanc, Syrah, Verdelho, Vermentino, Vidal Blanc and Viognier. Collins poured it for attendees at the Mid-Atlantic event, and it is a deliciously unusual wine, both tangy and floral, somewhat low in acid, and fabulously long, with what I can only describe as a melodic finish. Big Cork boasts a handsome, large (10,000 square feet) tasting room, with comfy sitting areas both indoors and on the wraparound covered porch outdoors. Refrigerated cases are stocked with gourmet items such as cheeses, charcuterie and cookies. Big Cork is an hour or so from Baltimore and 90 minutes from Washington DC. The winery hosts weekend live music events. The Antietam Civil War Battlefield is about 5 miles from the winery. Hikers will enjoy the nearby Appalachian Trail, the longest stretch of the C&O Canal, and the Potomac National Scenic Trail. BLACK ANKLE VINEYARDS’ first harvest was 2006. The estate is farmed without herbicides, pesticide usage is low, and vineyards are treated with locally made compost. The exceptionally attractive tasting room and winery structure was built from straw, clay, stone and wood that was grown or found on the farm. Solar panels capture the region’s plentiful sunlight. 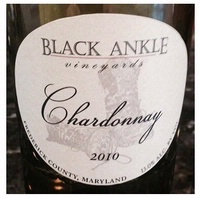 For the tasting at Black Ankle, owner Ed Boyce poured the balanced and sophisticated Black Ankle 2017 Chardonnay, which is rich and creamy, with a subtle underpinning of salinity. The winery offers live music every Friday night through December. A number of nearby wineries are also well worth visiting. Birders will want to bring their binoculars along for a stop at the Audrey Carroll Audubon Sanctuary, located less than four miles from the winery. PORT OF LEONARDTOWN is a cooperative winery with 12 member vineyards spread across four counties. The winery and tasting room are located in a repurposed historic commercial building surrounded by greenery in the Port of Leonardtown Public Park. The co-op was formed in 2007 as the region sought to transition away from tobacco farming to other agricultural products as a result of the Tobacco Buyout, a voluntary program started in 2000. 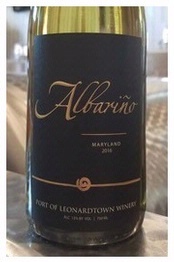 At the Mid-Atlantic tasting, winemaker Lauren Zimmerman poured her 2016 Port of Leonardtown Albarino. 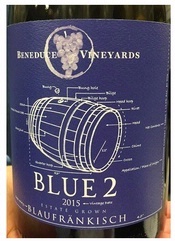 Blended with 7% Viognier, the wine had beautiful aromatics and was silky in the mouth, with crisp peach flavors (both grape varieties were grown at Long Looked For Come At Last Vineyard in St. Mary’s County). Take your own picnic to the winery’s all-weather patio (local cheeses and other informal fare are available for purchase). Port of Leonardtown Public Park has a walking trail, canoe and kayak launch, picnic tables, a gazebo, and weekend music events. FERO VINEYARDS & WINERY is located a few miles off Route 15, a road that hugs the Susquehanna River as it carries traffic from Harrisburg to Williamsport. At the Big Cork event, Fero’s owner, Chuck Zaleski, poured a dry, sparkling Pinot Noir rosé that was deliciously dry and minerally, with a light fruity aftertaste. The winery, set in a repurposed 1812 farmhouse, hosts live music on weekends, as well as “Wine ‘N Mile” runs through the vineyard. Fero is less than 10 minutes away from Lewisburg, the home of Bucknell University. Lewisburg boasts a number of historic buildings, one of which, the Dale/Engle Walker House, is a limestone farmhouse built in 1739 (originally a slave site, it is preserved with more than 100 acres of farmland). 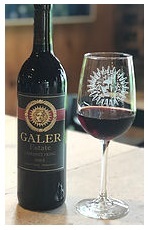 GALER ESTATE VINEYARD AND WINERY started growing grapes in 2005 (wood from the trees that were cut down to make room for the vineyard was milled and used in constructing the winery). 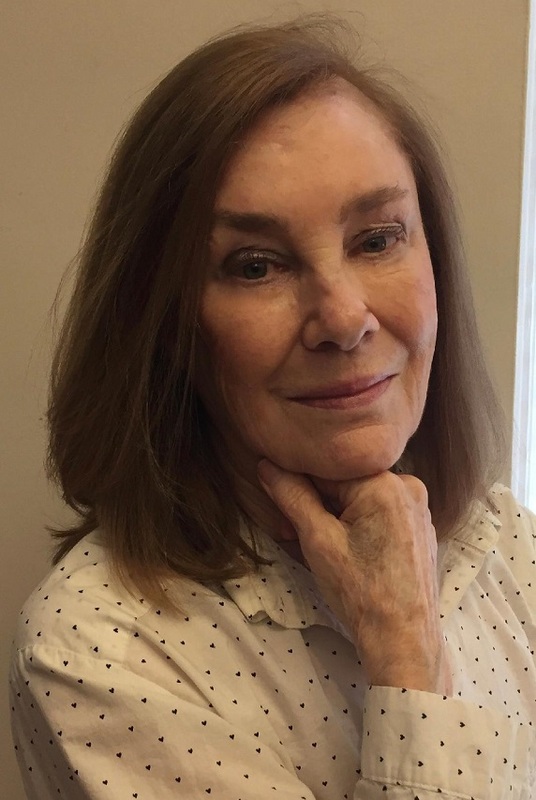 One of the wines presented by winemaker Virginia Smith Mitchell to attendees at the Mid-Atlantic event was Galer 2015 Estate Cabernet Franc, an elegant reddish-orange wine with true Cab Franc aromas and subtle red fruit flavors. The winery is located just behind Longwood Gardens, one of America’s most magnificent botanical gardens covering over 1,077 acres of gardens, woodlands and meadows. There is live music at Galer Estate every Saturday from 5-7 pm, and a variety of art shows and other events are featured there regularly. KARAMOOR ESTATE is a 300 acre property just Northwest of Philadelphia. At the gathering at Big Cork Vineyards, Karamoor’s winemaker, Kevin Robinson, introduced us to his 2015 Estate Meritage, an impressively textured and flavorful wine with hints of cherry and blackberry flavors, plus a little spice, vanilla, and velvety tannins. The winery is about 4 miles from Historic Hope Lodge, an excellent example of early Georgian architecture built in the mid 1700s. Nearby Fort Washington Park offers hiking trails and picnic facilities. For a more urban experience, Philadelphia is about 45 miles away. BLUESTONE VINEYARD is located in the middle of the Shenandoah Valley, which is rapidly becoming a popular grape-growing region. This scenic appellation provides a climate and soil that are proving to be hospitable to European winegrape varieties. 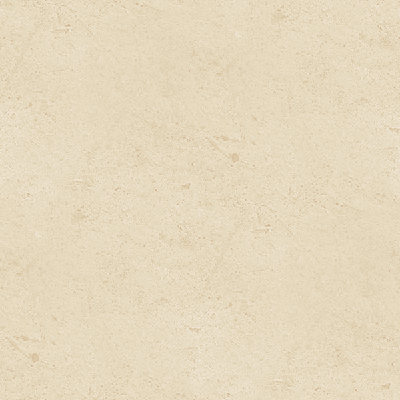 The winery is named for the "bluestone," a type of limestone that is a main component of local soils. Bluestone's first vines were planted in 2008. At the Mid-Atlantic tasting event, winemaker Lee Harman poured his nicely balanced, fruity-spicy 2014 “Cadenza,” a Cabernet Sauvignon/Petit Verdot blend. “It’s more mid-Atlantic than west-coast in style,” Harman accurately observed (this same “Cadenza” received a gold medal at the 2018 Virginia Governor’s Cup). “Toast the Weekend,” the winery’s annual summer concert series, is held the second and fourth Fridays of the month, May through September, in The Meadow, which features a large stage equipped with lights and a cement pad for dancing. Winemaker dinners, plus Wine & Watercolor classes, are occasionally offered. Bluestone is less than an hour’s drive from Shenandoah National Park. GLEN MANOR is situated on a western flank of the lovely Blue Ridge Mountains, which range between 1400 and 3400 feet high. The estate includes 212 acres of pastures and forests, along with 17 acres of vineyards. The property is recognized by the Commonwealth of Virginia as a Century Farm for being owned and farmed by five generations of the same family for over 100 years. At the Mid-Atlantic tasting, Glen Manor’s owner and winemaker, Jeff White, poured his 2017 Sauvignon Blanc, which had true-to-type Sauvignon Blanc aromas and crisp flavors that seem to call out for a dozen raw oysters. The grapes came from 22- and 16-year-old vines growing at 1,100-3000 feet above sea level. “This was the best vintage I’ve ever seen come out of Virginia,” said White. The estate is about 70 miles from Washington DC, and it shares a common border to the east with Shenandoah National Park. KING FAMILY VINEYARDS’ first vintage was in 2000, with a mere 480 cases of wine produced, and a vineyard that was just over eight acres. Today, the winery turns out over 10,000 cases of wine per year and the vineyard has expanded to 31 acres (all of King Family’s fruit comes from the Monticello AVA). King Family’s winemaker, Mattieu Finot, who was born into a family of viticulturists in the Rhône Valley’s Crozes Hermitage, studied viticulture and oenology in Beaune, and has worked in a number of different French wine regions as well as in Italy and South Africa. Among the wines he poured at the wine tasting event was 2016 King Family Vineyards Maceration Viognier, an orange wine fermented with its skin like a red wine. The skin contact imparted a slight orange color as well as tannic structure and nicely developed peachy-plummy aromatics. Served at room temperature the wine seems more red than white, and it is ripe, velvety, and long on the palate (it also has 14.5% alcohol). “I was trying for a clean version of orange wine,” Finot explained. Although he has worked at number of wineries in Virginia he particularly enjoys the Monticello AVA, in part because of the rate at which this wine region is growing, and also because of its proximity to Charlottesville. Polo matches are scheduled at the winery very Sunday, from Memorial Day weekend through mid-October (weather and field conditions permitting). Attendance is free, and games begin at 1 pm. You could also visit Jefferson’s Monticello, which is a mere 20 or so minutes away. RAFFALDINI VINEYARDS & WINERY is tucked into the gently rolling landscape near the Yadkin River and the Blue Ridge Mountains. This is a winery with a distinct Italian accent. 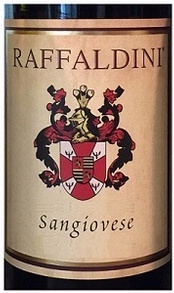 The 2014 Raffaldini Vineyards Sangiovese that winemakers Mat Worrell and Katy Kidd poured at the Mid-Atlantic tasting had nice complexity and good weight on the palate, with ripe strawberry and cherry flavors and juicy tannins. Raffldini lays claim to being the foremost practitioner of the appassimento drying process in the United States, an ancient process in which grapes are dried on racks, which allows air to flow around the grapes and concentrating aromas and flavors as the fruit dehydrates (Raffaldini now dries all its grapes, red and white). The winery offers an assortment of different summer and fall events including brunch and luncheons, wine dinners, and various “Festa Italiana” happenings. Every Sunday in November, paying guests can participate in an “Assemblagio” in which they have the opportunity to hone their own tasting and blending skills. Raffaldini Winery is 45 minutes from Winston Salem and Boone (Boone, named for explorer Daniel Boone, is a center for bluegrass musicians and Appalachian storytellers). ALBA VINEYARD is a 93-acre estate settled in the gentle hills of Warren County. Founded in 1982, the property dates back to the late 1700’s, when it was a dairy farm. At the tasting event, Alba’s vineyard manager, Nick Sharko, poured 2016 Alba Vineyard Estate Chardonnay. 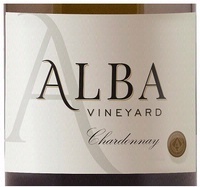 Rich, creamy, and powerful, this California-style Chardonnay has been Alba’s best selling wine for 20 years. The winery hosts year-round events in open fields surrounded by vines, including various dinner and wine pairings, “Music Under the Arbor,” a July pig roast, and a Wine and Oysters evening. Alba is located two miles from Bucks County Pennsylvania, known for its covered bridges and wealth of historic sites such as Pennsbury Manor, William Penn’s 17th century estate on the Delaware River, and the 500-acre Washington Historic Crossing Park, the site where General George Washington and his Continental Army crossed the Delaware River on Christmas night in 1776 and marched to Trenton, New Jersey. BENEDUCE VINEYARDS has a stated goal for the next decade to diversify the farm and move towards becoming leaders of sustainability among wineries on the east coast. With that in mind, in 2016 the Beneduce family planted four varieties of lavender in an area of the farm not suitable for growing wine grapes. The lavender increases the property’s biodiversity and also serves as a haven for honeybees and other beneficial insects (50% of the profits from the sale of all Estate Grown Lavender products is given to a local charity, selected by the winery staff each year). 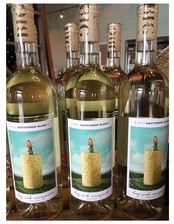 The crisp and dry Beneduce 2017 Gewurztraminer that winery owner/winemaker Mike Beneduce poured for attendees at the Mid-Atlantic tasting had classic grapefruit and floral characteristics backed by stony minerality “This was my favorite vintage since I started making wine,” said Beneduce. All year long, on Saturday nights and Sunday afternoons, the winery hosts “Group Therapy” (i.e. live music and wine), plus a variety of food trucks. The nearby Columbia Trail is a great place for a hike or bike ride, and hot-air ballooning is popular in these parts. HUDSON-CHATHAM WINERY opened 12 years ago on land that was the last 14 acres of what was once a thriving dairy farm. The estate specializes in hybrid grapes, which can survive the region’s cold winters and late frosts. At the Mid-Atlantic event owner Carlo DeVito poured 2015 Hudson-Chatham Block III Baco Noir Reserve from Casscles Vineyards. Unfiltered and unfined, this is very much a handmade wine. Soft, earthy and a little smoky, with cherry and raspberry notes and a touch of oak spice, it is medium-bodied and complex. Every august the winery hosts its Annual Sangria Festival. Located between the historic towns of Hudson and Chatham, the winery is little more than a half-hour’s drive to Tanglewood (the great music venue in the Berkshires), and it is about the same distance to the Shaker Village and Museum. Carlo DeVito and his wife, Dominique, are also founding members of the Hudson Berkshire Beverage Trail, which runs between New York and Massachusetts.